I’m excited by Fight for $15, a diverse movement for rights and dignity, led by low wage workers whose stories are changing the culture around work and redefining what it takes to restore the American Dream at all economic levels. Mary has been a GSF board member since the 1960s. She worked as a professional journalistic and fine art photographer for 15 years, and then joined GSF’s staff in the mid-1990s. Mary recently retired from her program officer role in the Human Rights & Economic Justice program, where she focused on support for those most affected by increasing inequity in the U.S. and our fractured economic system. 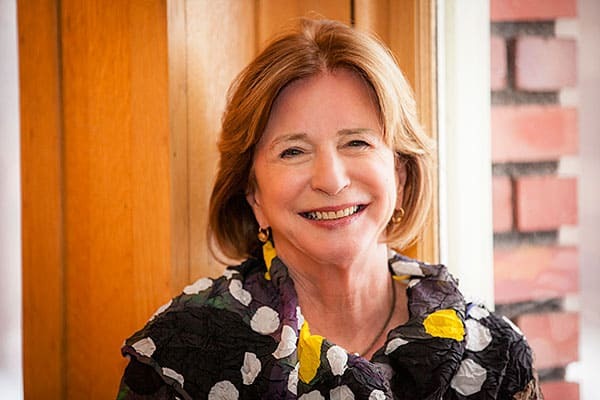 Mary chairs the board of the Ploughshares Fund, is vice-president of the John M. Lloyd Foundation and is involved in Lone Mountain Cattle Company, which produces Wagyu beef at her family’s ranch in New Mexico. When she’s not working she can be found hiking, practicing Ikebana, or being chased by her two grandchildren. General Service Foundation uses all of our resources to build a more just and sustainable world.